Amongst the most craved performance cars in Australia at present are the S13, S14 and S15 Nissan rear-drive coupes. These relatively lightweight cars are renowned for their power, tough mechanicals, rear-drive handling and immense aftermarket potential. 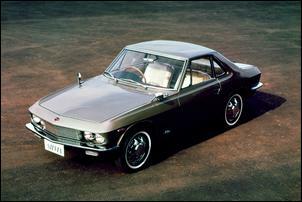 The world’s first glimpse of the Silvia came at the 1964 Tokyo motor show. The original CSP311 Silvia was based on the existing Fairlady 1500 soft-top platform (whose basic design stems back to classic British sports cars). The attractive body of the Silvia can be largely credited to Dr. Albrecht Graf von Goertz – a German designer with previous experience at Porsche, BMW and Studebaker. Dr. von Goertz sculpted the Silvia to incorporate similar concepts seen in the BMW 507 – a long bonnet line, thin pillars and bumpers, and relatively large (14 inch) wheels. Dr. von Goertz was the first designer working in Japan to employ a full-scale clay model. This was the first Japanese manufactured car to employ disc front brakes, which combined with the rear drums used in the Fairlady. The wishbone front suspension and leaf spring live axle rear suspension were a direct carry-over from the Fairlady, except with softer settings. Under its stylish long bonnet, the CSP311 Silvia packed a new 1600cc ‘R’ engine. The R engine used a 3 bearing crankshaft, pushrods, 9.0:1 compression ratio, a lightweight pressed steel exhaust manifold, dual exhaust and twin 38mm Hitachi carburettors. Output was listed at a creditable 66kW at 6000 rpm. Note that a short time into the CSP311 Silvia’s build, the engine was revised with an alloy cylinder head and 5 bearing crankshaft (which hints that there were failures of the original 3 bearing unit). This 5 bearing 1600 was simultaneously employed in the Fairlady 1600. A 4-speed manual gearbox (boasting synchros on all forward gears) was installed into the CSP311 together with a shorter diff ratio than found in the Fairlady. 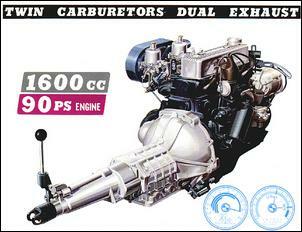 This is said to improve acceleration to match the slightly lighter Fairlady. Both the CSP311 Silvia and Fairlady weigh less than 1000kg. 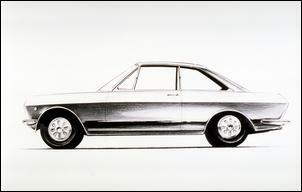 Amazingly, the 1965 Silvia used hand-beaten body panels and each vehicle was hand assembled. It is said that a very high quality exterior finish was achieved but quality is poor beneath the skin. Nissan Motor Company’s decision to hand assemble the CSP311 Silvia leads us to believe the Silvia was never intended for high-volume production. And it’s just as well. The American market (which Nissan saw as a major target) regarded the CSP311 as too cramped and having a too small engine. Certainly, headroom was limited and engine capacity was modest compared to other vehicles available in America at the time. Only about 550 examples of these personal coupes were built. Curiously, some 7 years after the demise of the CSP311, Nissan decided to dust off the Silvia nameplate. In its home market in Japan, the Nissan S10 came powered by a 1.8 litre L-series 4 cylinder which, in fuel injected form, generated 79kW at 6000 rpm. The US-spec version employed a larger 2.0 litre L20B engine producing about 70kW but with meatier bottom-end torque. Part of the reason for the S10’s relative success can be attributed to Toyota’s popular Celica, which was paving the way to this particular niche. However, compared to the original Celica, the S10 Silvia is a bit of an ugly duckling... The appearance was tweaked in 1977 but this was merely a band-aid solution to a major styling issue. 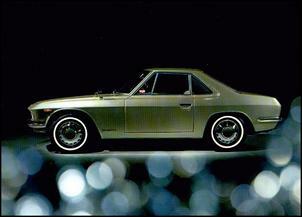 The ugly appearance of the S10 Silvia was forgotten with the 1979 introduction of the S110 Silvia. The S110 possessed the boxy styling that was to become fashionable during the ‘80s. Note that, in many markets, the S110 Silvia was badged as Gazelle while the US-spec versions continued with the 200SX name. Initially, the S110 was sold only as a notchback coupe (seen here) but a hatchback version was released not long into production. A range of engines were available. Most S110s were fitted with basic L-series carby engines, while a new fuel injected 1.8 litre Z18 engine was available in up-spec versions in Japan. The high performer of the range was the turbocharged Z18ET engine which put out 100kW at 6000 rpm. We believe these versions were badged as 180SXs in Japan. 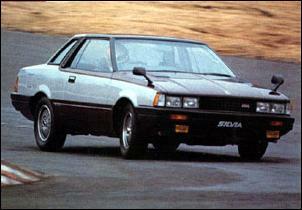 In 1982, the S110 Silvia was updated and made available with an all-new 2.0 litre FJ-series 4-cylinder – the FJ20DE. The FJ20 brought a motorsport-inspired DOHC, 16-valve head and fuel injection. The FJ20DE was fitted to only 2000RS versions in coupe and hatchback body styles. These are a relatively rare and desirable vehicle. 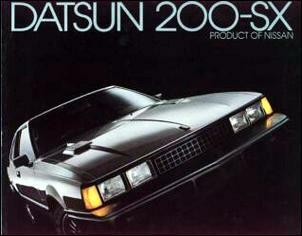 Meanwhile, the hottest Nissan S110 available to American buyers was powered by a naturally aspirated 2.0 litre Z20E and, later, a 2.2 litre version. Neither were inspiring performers. 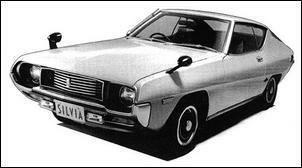 It is rumoured that Nissan produced a handful of Silvias in the early ’80 powered by a rotary engine based on Mazda’s 12A twin-rotor. These rotary-powered S11 Silvias were apparently a failure and the piston engine’d S110 Silvia was brought back into action. One version of the S110 Silvia you probably haven’t heard about is the 240RS. 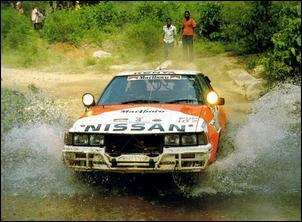 Built as a Group B rally special, the 240RS used a special version of the FJ20DE – a FJ24D. The FJ24D employed a stroker crank (taking swept capacity to 2.4 litres), new pistons and twin side-draught carburettors – output was around 176kW. Very few S110 240RSs were built and even fewer remain intact. Stick around for Part Two of this series – we’ll look at the modern Silvia range, which evolved into 187kW weapons!